Professor Dorudi qualified in London in 1983. He trained extensively in general and colorectal surgery in Kent, London and Oxford before completing a senior speciality fellowship in colorectal surgery in Sydney where he developed his skills in pelvic and rectal cancer surgery. He undertook a period of research at the CRUK Colorectal Cancer Unit at St Mark’s Hospital, London and was awared his PhD in 1994. He was appointed as a consultant colorectal surgeon to St Bartholomew’s and The Royal London Hospital in 1996 where he was Professor of Surgical Oncology and Lead Colorectal Cancer Surgeon before leaving in 2010. He is currently Medical Director at The Princess Grace Hospital where he has continued his busy practice as a colorectal surgeon. 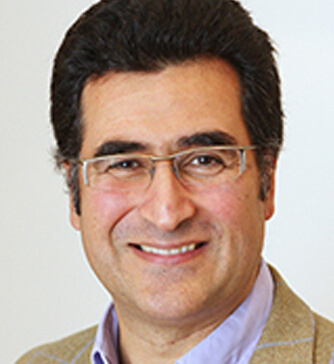 Working closely with Professor Andrew Silver (head of the colorectal cancer genetics group at ICMS), Professor Dorudi’s research focuses on improving the prognostic stratification of colorectal cancer patients following surgery and the immunology of differing colorectal cancer phenotypes. He is a well-established postgraduate trainer in pelvic surgery and is jointly responsible for delineating the new undergraduate surgical curriculum for 2008.